It’s been clear since early this year that as the Kindle Fire was taking off so impressively, Amazon was experiencing some amount of decreased Kindle eReader interest among its customers. It is probably fair to say that most people expected this. The Kindle accomplishes its narrow purpose well, but many people will always prefer a device that does many things adequately over one that does one thing extremely well. As the trend continues, and as the Kindle Fire becomes the first in its own line of tablet products, do we have to worry about this being a popular enough substitution to lead to the end of the Kindle eReader? A year or two ago I would have, and am known to have, argued against the idea. The strengths of the Kindle are things that you just can’t match in a tablet. The Kindle Fire’s inferior screen, shorter battery life, and greater weight all make it a distant second-best for reading activities by comparison. Clearly not everybody is agreeing with those points, as sales estimates for the popular eReader have been declining coming into this year. I believe it is possible to argue against this being just a matter of one device being somehow better than the other, though. The real problem is the way that Amazon has segmented their customer base. If we assume that the Kindle Fire is more appealing to people who only read occasionally, and who would like to get more regular use out of their purchase, that leaves E Ink Kindle buyers as the more dedicated reader base. Let’s face it, Amazon’s actions lately have not been entirely pleasant for many fans of literature despite bringing prices down. People get very attached to their favorite authors, and to the idea of authorship in general. For many, the “One of these days I’m going to sit down and write a book” mantra is less a matter of actual intent and more a sign of respect for the craft. The cult popularity springing up around any number of self-published Kindle authors is just another sign of this. By pitting themselves against groups like the IPG, and thereby inspiring even more public condemnation from big name author and those speaking more or less officially on their behalf, Amazon is damaging their pro-reader stance. I don’t believe that the eReader as we know it is on the way out. The E Ink Kindle remains one of the best options for reading that money can buy and the combination of great selection with commitment to customer satisfaction works heavily in Amazon’s favor. This sort of questionable behavior does much to dampen enthusiasm for the product among potential buyers, though. So is Amazon biting into Kindle sales? Definitely. There’s at least as much interference coming from their heavy-handed negotiation tactics as their tablet alternative, though. The Kindle Fire is an amazing little device and most people seem glad to have it once they take it home, but for reading nothing can beat E Ink so far. Sadly, Amazon has been doing some work making sure people have doubts about tying themselves to the otherwise amazing Kindle ecosystem in the long term, and so there are issues. This entry was posted in Amazon, Kindle Community, Kindle Economics, Kindle Problems, Publishing and tagged decreased estimates, ipg, Kindle Fire vs Kindle eReader, Kindle Sales, reactions, sales down by matthew. Bookmark the permalink. I’m not sure if it’s the Fire’s fault or the Touch’s fault that the Touch didn’t kick off that much. Second, the Touch didn’t really introduce much in the way of new features that would entice current kindle owners. The K2 was a massive improvement over the K1. The K3 was a massive improvement over the K2. The Touch… Well, it adds touch… and a really vaguely explained thing called x-ray. Is that worth upgrading for? I ended up deciding I would stick with my K3. The last thing, I think, is that they released so many different models at once, causing some level of confusion among customers. 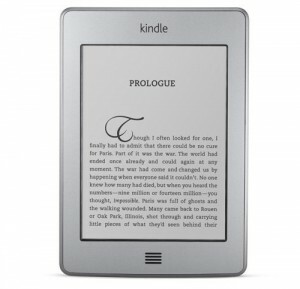 For customers who didn’t already have a kindle, why should they choose the touch over the basic kindle? They don’t know how much they would use the features the touch has, so why would they choose that? And yeah, color’s supposed to be good, so if we’re going to pay so much, why not get a Fire? Since many existing K3 owners wouldn’t upgrade due to the 2nd and 3rd points, and many new customers would be confused by the 4th point, I think that shows why the Touch might not have been particularly popular. That said, it seemed that the basic kindle did quite well. Perhaps that’s the best direction for Amazon to go. Keep pulling down the price of the e-ink kindles (and the android devices), while continuing to build ecosystem. I do enjoy my current e-ink kindle (k3), but I also love my Fire. I find that due to my current situation, I read more on the fire, but there are certain times of day (like when my daughter goes out to play on the porch) that I *need* my e-ink kindle.